The Society maintains a rotating schedule of cross-disciplinary exhibitions focused on California art, history, and culture in Pioneer Hall at The Presidio; these exhibitions are open to the public. Guided tours and museum education programs are offered free of charge with advance reservations. Our museum is open from 10 AM to 5 PM, Wednesday to Sunday. Free Admission (suggested donation of $5.00 to support three programs providing free access to our unique collection: the public exhibition hall, our research library, and museum education programs for local schools). 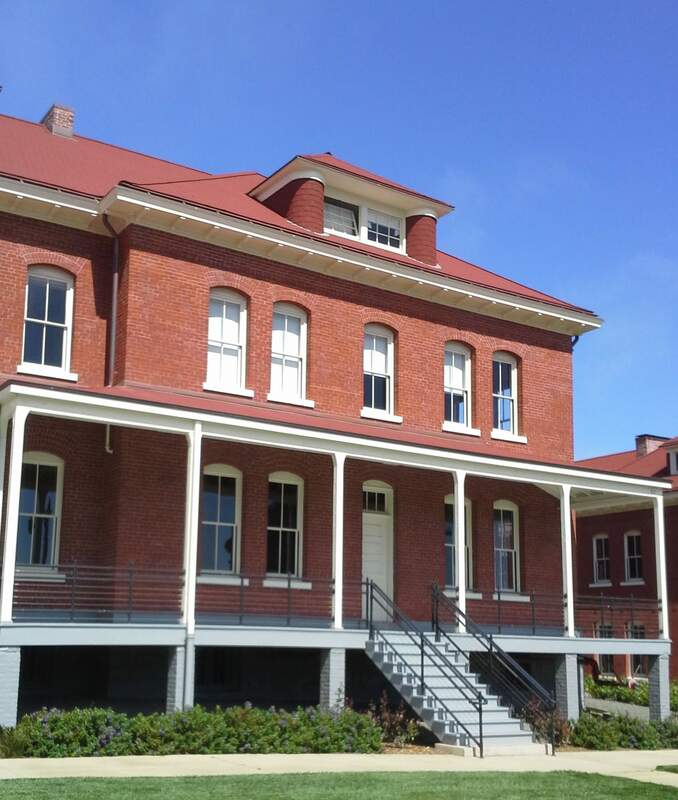 Call 415.957.1849 ext 120 to schedule a tour of Pioneer Hall at The Presidio. Our library contains over 10,000 books, manuscripts, maps, journals, newspapers, and autobiographical materials related to the early history of California. The Library is non-circulating and open to Members, Friends, college and university faculty, students, and other individuals pursuing research; an appointment must be secured in advance. Call 415.957.1849 ext. 130 to schedule a research appointment.